In average, ongoing SEO services for 5-10 keywords cost CAD $1000/month. For most sites it takes 4-9 months to rank on top 10 (first page) of Google. Performance based SEO services and techniques I use in off and on site SEO optimization gradually improve website ranking for long and short tail keywords month after month until they reach first page on Google SERP (search engine results Pages) and local/maps results. Have You Googled “SEO services” and found me? I can do the same for you! Search Engine Optimization refers to methods used to increase organic search traffic to a website from search engines (Google, Yahoo, Bing! etc.) 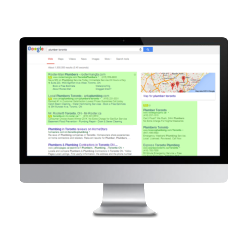 by increasing its position in Search Engine Result Pages (SERP) for related keywords. Every second there are thousands of people who are searching for products and services on the Internet. Chances are, you’ve done the same before making a purchase or calling the business. By simply using a search engine, entering in a keyword phrase, chances are you were looking for and clicking on the first results that appeared. So if your website does not appear on the first top 10 results or first page, 99% of users will never find your business online. The tricky part of obtaining higher organic traffic is to get into the top 10 results, and that is where my SEO services come into play. My services will help your website gradually improve its ranking on Google from outside of top 100 (10th page) to entering top 10 ranking (1st page). My result-oriented SEO services will protect you from any unexpected search algorithm updates and unnecessary additional investments. I don’t use automated software or Black Hat SEO methods (bulk submissions, link farms, duplicate or spun content) that could adversely harm your site. All articles and press releases are written by different writers and submitted onto selected blogs, articles directories, and press releases sites that aren’t open to the public so it helps me to keep them authoritative for Google, prevent spam, and still remain efficient enough to rank even highly competitive keywords. As per the recent Google search algorithm updates (Panda and Penguin), more focus has to be put on the actual quality of links and the speed of which they are placed. Some SEO companies offer you packages of hundreds of high PR links. These packages often contain links placed on irrelevant pages, directories, link farms, spammy forum profiles, submitting spun articles and can be extremely harmful to your campaign and page rank. Google can easily track these activities, and in the worst case, can de-index your site or drop your ranking to the 30th page of Search Engine Page Results (SERP) without warning. I utilize the most organic way of creating links by setting up a schedule (equal portion of links every day/week with verified indexing by Google) submitting your links, articles, press releases, and social bookmarks to authoritative media sites and local directories. I also have experience in recovering website ranking after any black hat, backlink blast and any other ineffective SEO services offered by other so-called “SEO experts”. I have worked with a wide variety of clientele that allows me to leverage a broad array of real-life experience, statistics, and conclusive data for the benefit of my clients. I’m a Toronto SEO expert who offer a performance-based SEO Services that utilise the latest SEO developments, algorithm changes, Google patent submissions, and other cutting edge SEO strategies. With 8 years of local and global SEO experience and a number of satisfied clients from different countries and continents, I would love to help you and your business reach its potential! Remember how easy it was to find my website when you searched “Toronto SEO expert,” “Toronto SEO services” or even “SEO specialists”? This proves how effective SEO services can be for your business! I know how to utilize the full power of organic SEO, and my site is a perfect example of how flawlessly SEO campaigns can work for you too. 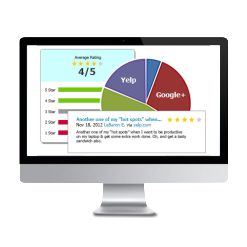 If you are looking for an experienced SEO consultant to take your website to the next level, look no further. I’ve been creating and implementing digital marketing campaigns for small and medium sized businesses since 2008. I specialize in organic and local SEO, web design, digital strategy, keyword research, paid search, lead generation, conversion optimization and content marketing.